Working with web designers can be a tricky business especially if you have never done so before. Discover how to get the most from him or her with this handy list. 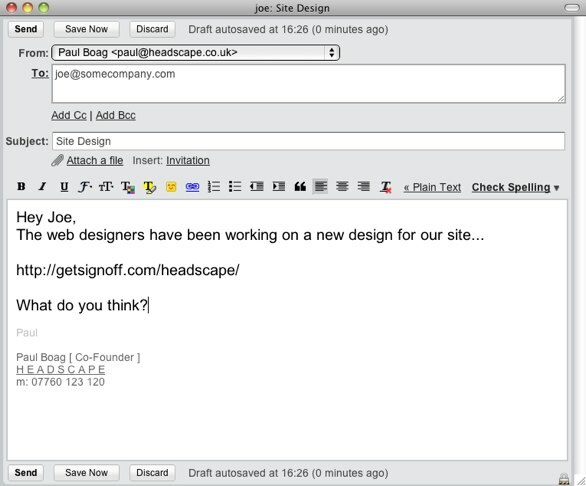 I have been thinking a lot recently about my working relationship with our clients at Headscape. I have been trying to identify why some projects run smoother than others and ultimately create more successful websites. In a lot of cases it is because of the relationship between us (the web designers) and the client. 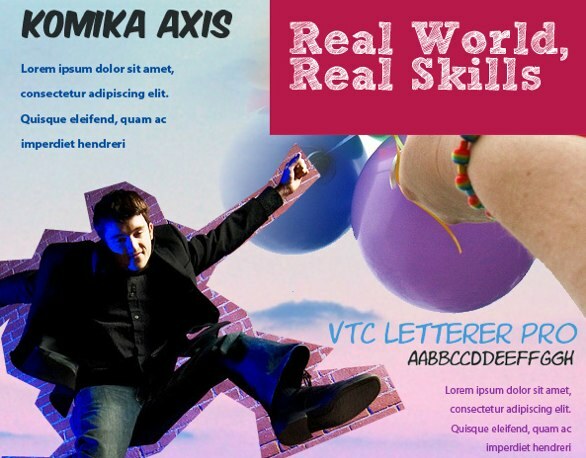 Without a doubt there is a real art to getting the best results from your web designer and I thought I would share some tips and tricks that may help. As I haven’t written a list post for a while I figured I would give you a top ten list for ease of scanning (I know you never read the whole of my posts). Increasingly web projects are becoming squeezed by limited budgets or tight deadlines. This is one of the best ways to damage the quality of work you get from your web designer. Producing something truly exceptional takes time. Not just time actively working on the project but elapsed time too. The web designer needs time to consider his options and think about different approaches. The longer you give your web designer to think, the better the work. Of course actual hands on time is incredibly important too. Without it your design will be less polished and the underlying code fail to stand the test of time. Web designers have this habit of working in secrecy when it comes to the look and feel of your site. They like to be briefed and then to go away to work on the design until they are ready to present the final article. Unfortunately in most cases this approach leads to problems. If for some reason the web designer misunderstood the initial brief he could spend days, if not weeks, working on a totally inappropriate design. What is more by the time he presents the design to you he is both emotionally and financially committed to it. From his perspective it is the perfect solution and he cannot afford to spend long changing it. Unsurprisingly this often leads to conflict. A better approach is to work collaboratively with your web designer from the outset. You should be involved in seeing initial sketches, creating moodboards and wireframes. This ensures that the final design is something that you are both happy with, because you were involved in the process of its creation. Inevitably the time will come where you and your web designer disagree over something. Although web designers are experts in their field they are not always infallible. What is more it is your website and you need to be confident if you are going to refer customers to it. If you are in doubt as to whether your web designer is giving you good advice or not, I recommend you test the design. It is inadvisable to simply overrule your web designer as your own perspective may be coloured for numerous reasons. Instead test the issue with real users and get an impartial perspective on the problem. A common mistake among those commissioning web designers is to insist that the designer produces multiple concepts at the beginning of the project. The perception is this gives the client some sense of control over the direction of the sites look and feel. Setting aside that I have already advised a more collaborative approach when working with web designers, the idea of multiple concepts is fundamentally flawed. The problem with multiple concepts is that it inevitably leads to Frankenstein design. In other words, when presented with multiple designs you will inevitably see elements from each design that you like. In most cases this leads to you picking and choosing elements that you wish to see in the final design. However as any designer will tell you, you cannot easily combine elements from different designs and it almost always comes out looking like some kind of Frankenstein’s monster. Instead follow my earlier advice of working closely with the designer to shape the design as it is produced. Settling on the final look and feel for your website can be kind of scary especially if you’re doing it for the first time. Almost certainly you will want to reassure yourself by showing the design to colleagues, friends and even family members. Although the desire to show a potential design to as many people as possible is understandable, it is extremely unwise. Our perception of good or bad design is highly subjective and you are likely to get radically different opinions from different people. Instead of reassuring you, showing the design around will almost certainly create more doubt. Admittedly you will have to show your design to some people. This is fine, but do not just send them the design and ask what they think. In order to be able to respond intelligently they need to understand the background of the project and the decision-making process that was used to produce the proposed design. Without this kind of information all they can do is fall back on personal opinion, which as I have already said is subjective. Even if you are working collaboratively with your web designer to produce the look and feel of your site things can still go wrong if you both have different perceptions of the end goal. That is why it is so important that all parties have a clear idea of what the website business objectives are. These business objectives will act as a plumb line against which you can measure decisions being made in the development of your website. All parties do not just need to share a common perspective of the business objectives, they also need to agree on exactly who the target audiences is. Do everything in your power to clearly communicate as much information about your users as possible to your web designer. 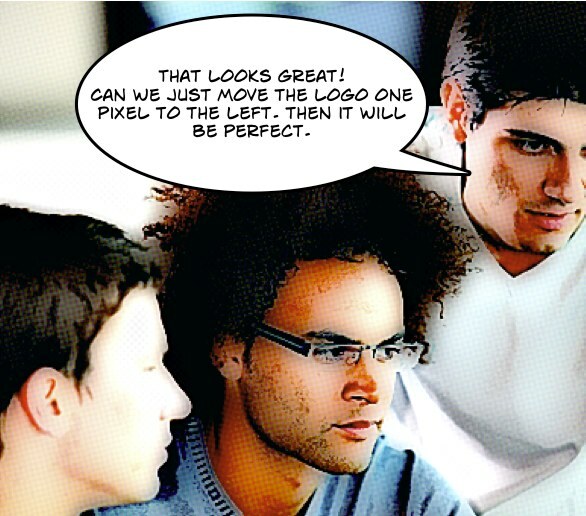 This is where getting the web designer to do some usability testing is invaluable. Even better encourage a web designer to carry out this usability testing in the homes of your users. That way he or she will get a clear understanding of exactly what makes your users tick. If the web designer does not fully understand the target audience they could easily present the entire site in the wrong way. However, it is important to note that it is not just the web designer who needs a firm grasp of the target audience. You do too. Maybe you already think you do. However unless you are meeting with users on a daily basis it is still worth participating in any usability testing the web designer carries out. You may be surprised just how different your users are from your preconceptions. A common problem I see occur on many design projects is the website owner overworking a design. This is something most web designers have learnt not to do, largely because they have had it drummed into them while training. However, because most website owners do not come from a design background they often fall into this classic design trap. Because design is subjective, you can never create the perfect design. However, your desire to achieve perfection leads to tweak after tweak in order to get it ‘just right’. The trouble is you never can get it ‘just right’. You may get it so you personally like it, but does that mean it will do the job and encourage users to complete your calls to action? A related problem is that website owners often have the perception you only get one shot at getting the design right. That is not the case. Infact often the best way to find the mythical ‘perfect design’ is to put something live and watch users interact with it. Then you can tweak and refine based on solid data rather than personal opinion. That brings me on to one of the biggest issues of the designer/client relationship. Website owners should be working in long term partnership with designers. Most website owners commission a web designer to redesign their website and then walk away. This prevents any kind of ongoing development of the site based on user analysis. Instead as I explain in my latest book ‘Building Websites for Return on Investment‘ website owners should be working with their web designers on a monthly basis. This allows for a continual programme of refinements that ultimately avoid the massive cost of periodic redesign. Finally, I think it is extremely important to clearly define (and stick to) your respective roles. I believe it is the website owners job to identify problems and for the web designers to solve these problems. However, in many cases it doesn’t work out like this. The website owner sees a problem (e.g. that the colour scheme is not appropriate for his audience) and tells the designer how things should be changed (e.g. change from pink to blue). However, the web designer is none the wiser as to what the underlying problem is. He just knows the client now wants the site blue. This makes it impossible for the web designer to suggest alternative solutions that might be even better. In short the website owner becomes the designer and the web designer becomes a technician implementing the design. This is both a waste of the talents of the web designer and damages the relationship between the two parties. The web designer becomes disenfranchised and loses interest in the project. Obviously this is not a comprehensive list but simply by implementing the suggestions here you will significantly increasing the effectiveness of your website by improving the working relationship with your web designer. If you have other suggestions that should have been included, post them in the comments below. I am sure there is loads that could be added.